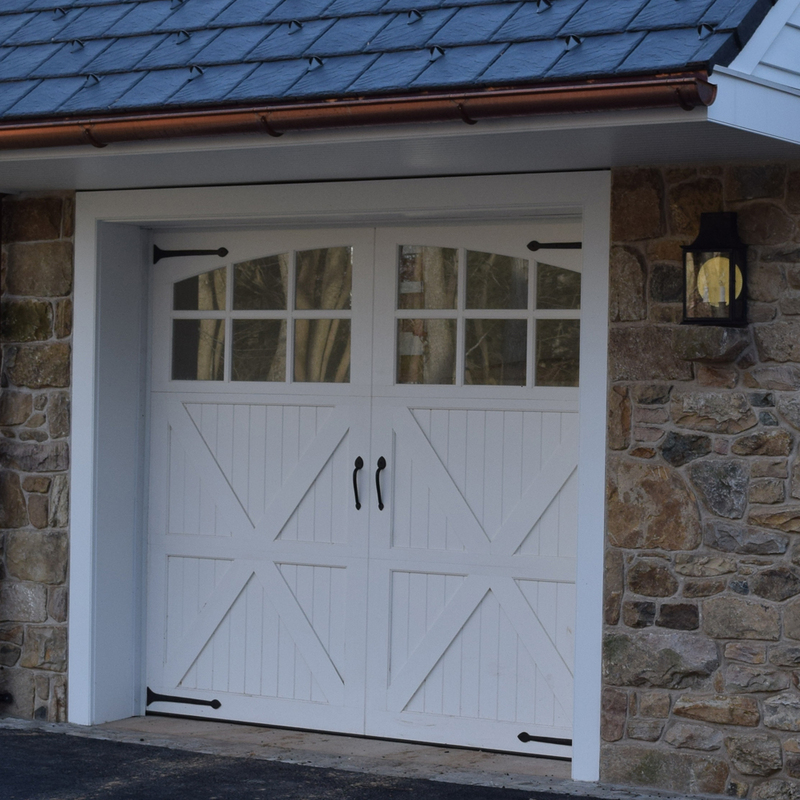 The Cape Series models offer homeowners the elegance of classic carriage house designs without the maintenance of wood. 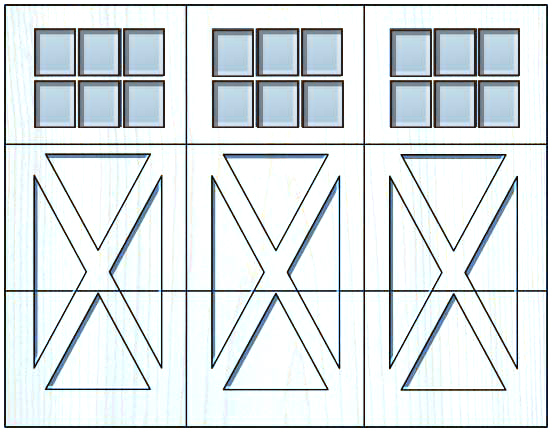 The same wood working tools and techniques are used to build Cape Series doors, giving them the superior edge detail and handcrafted look of an Everite wood door, but with the maintenance advantages of waterproof Versatex PVC. 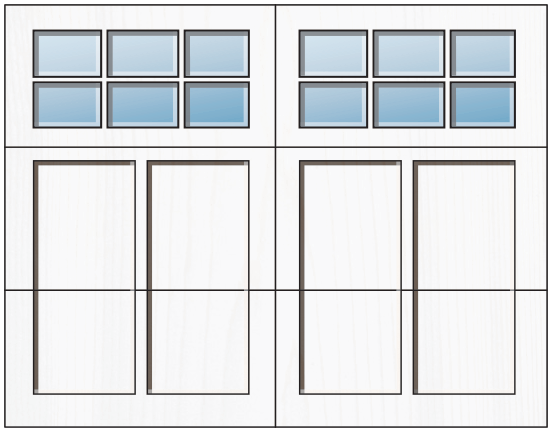 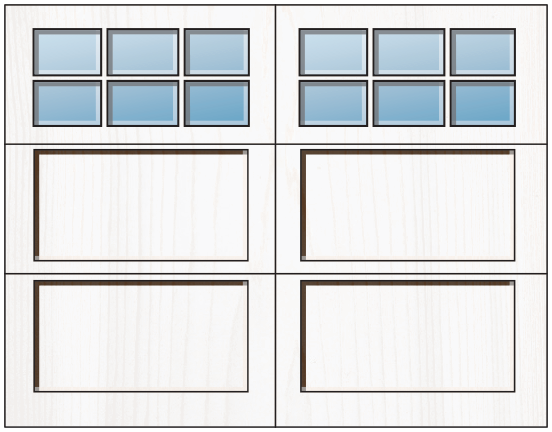 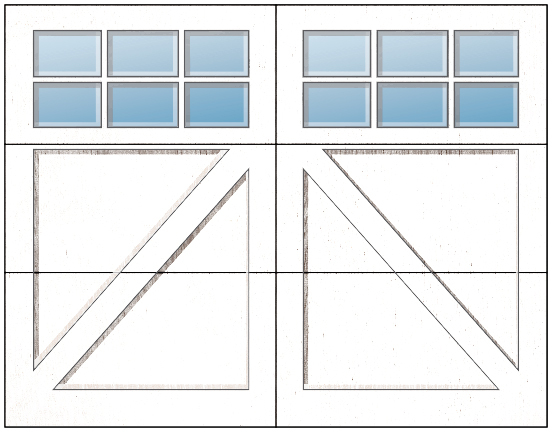 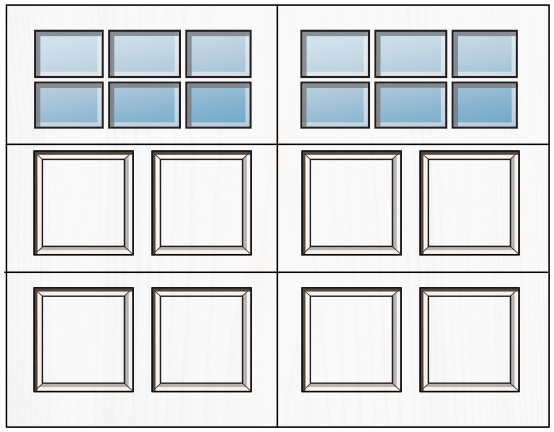 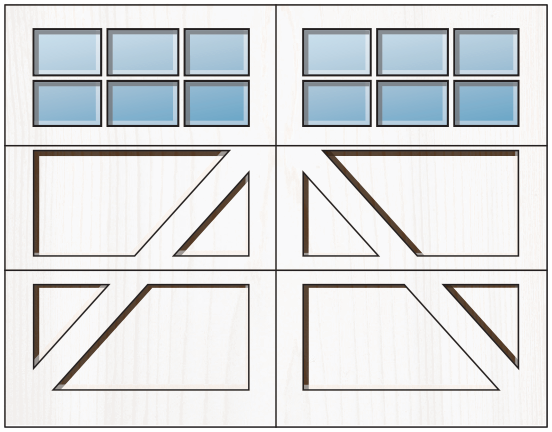 Each Cape Series door is handcrafted to order and can be customized as needed. 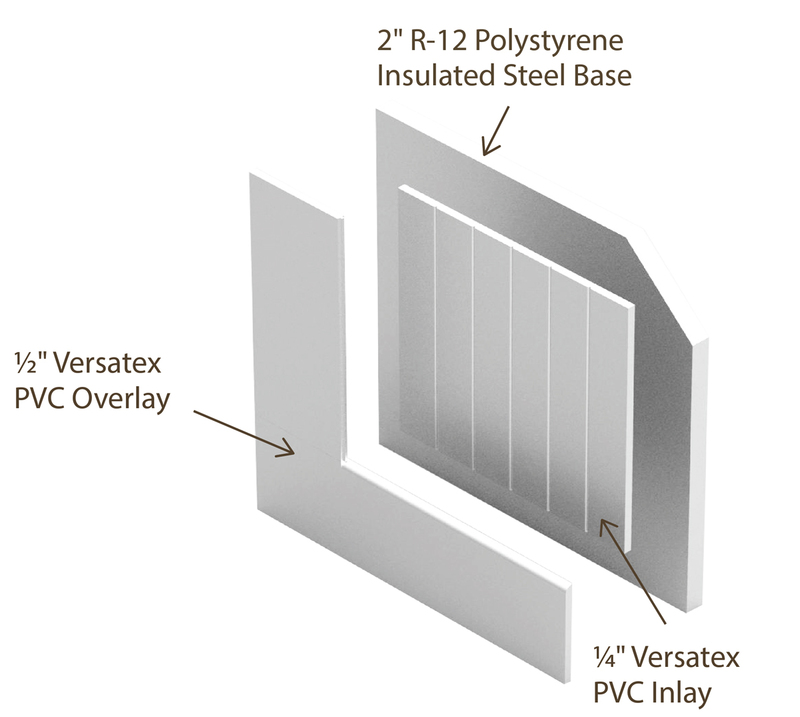 Versatex PVC: Products can be unfinished or painted. 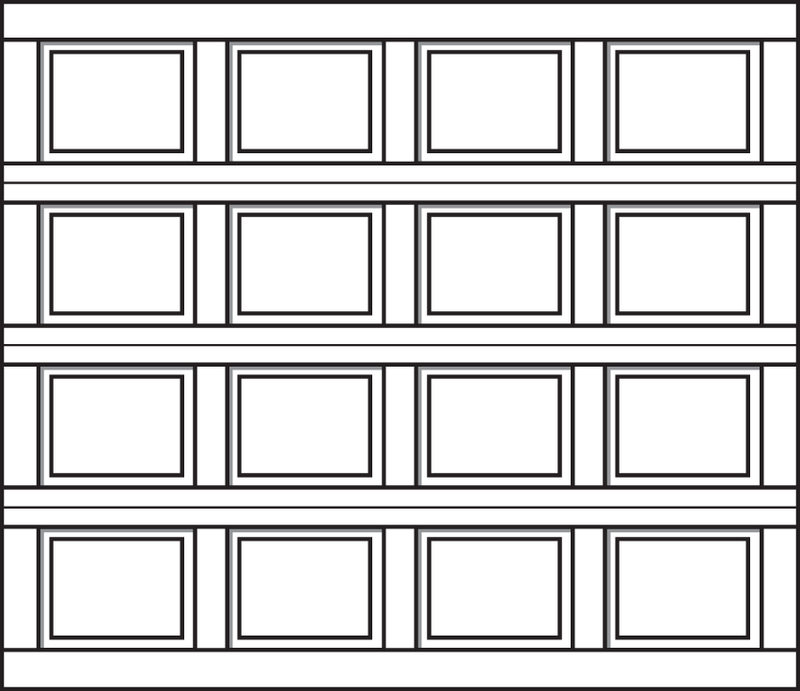 If painted, colors with LRV of 45 or greater must be used or warranty is void. 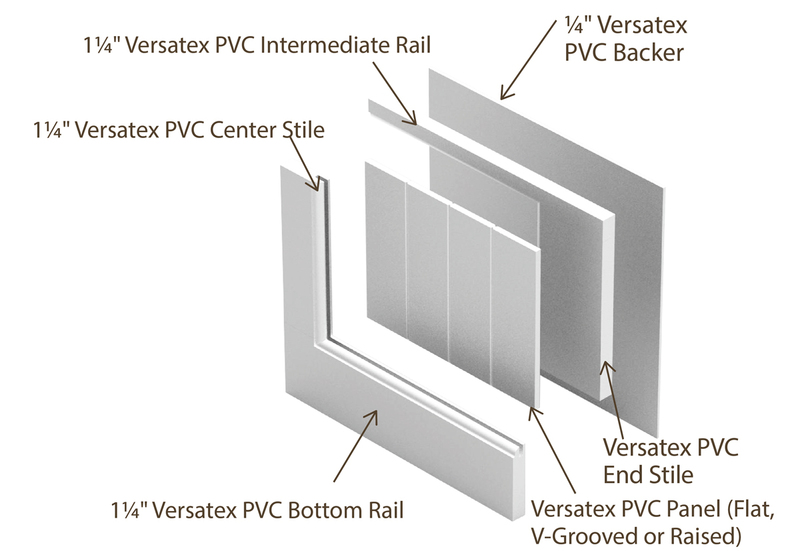 Versatex PVC cannot be stained. 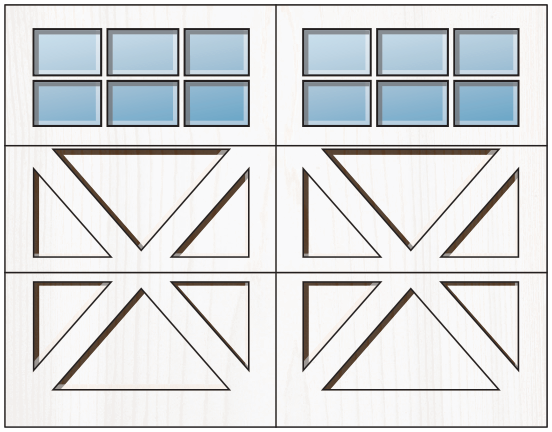 The Cape Hatteras Custom Series combines superior insulation with finely-crafted carriage door styles. 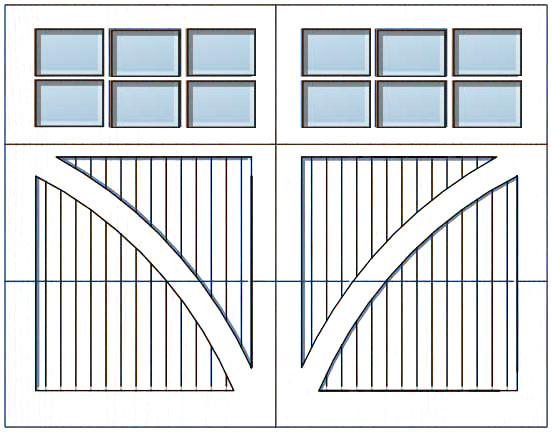 The result is a unique blend of alluring maintenance-free designs that keep the garage warm. 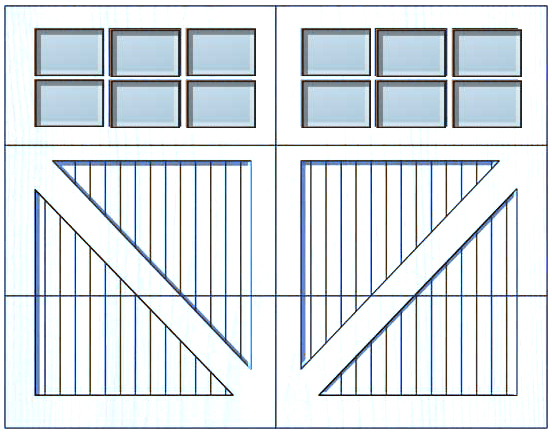 Cape Hatteras doors are faced with 1″-thick, bright white Versatex PVC on an R-12 or optional R-18 white steel base. 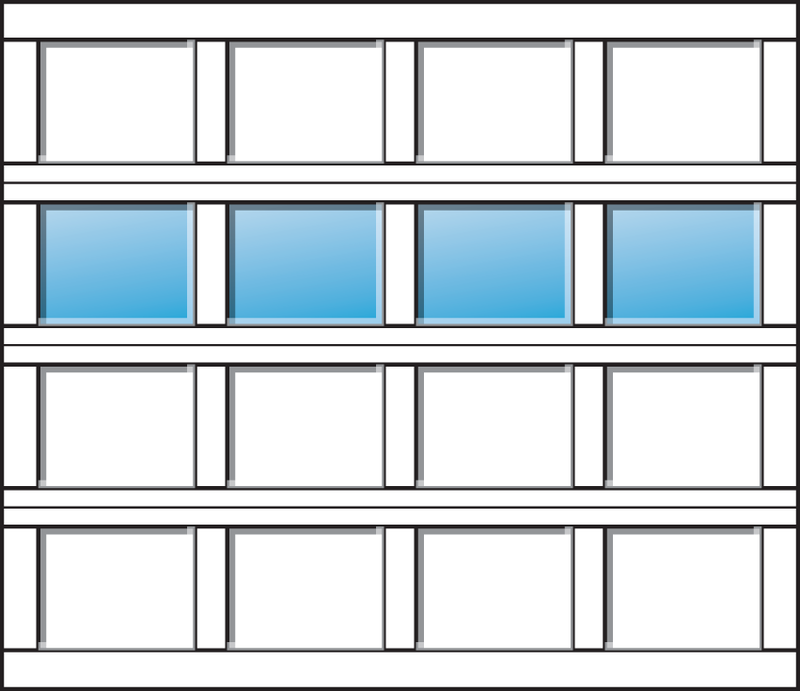 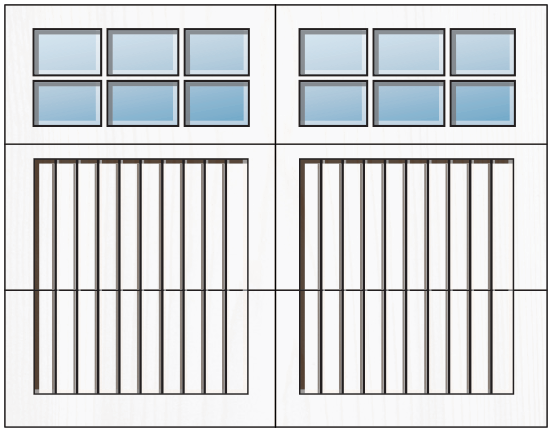 The 2” thick, white steel sections are overlaid with ¼” thick Versatex PVC paneling and ½” Versatex PVC stile and rail overlays. 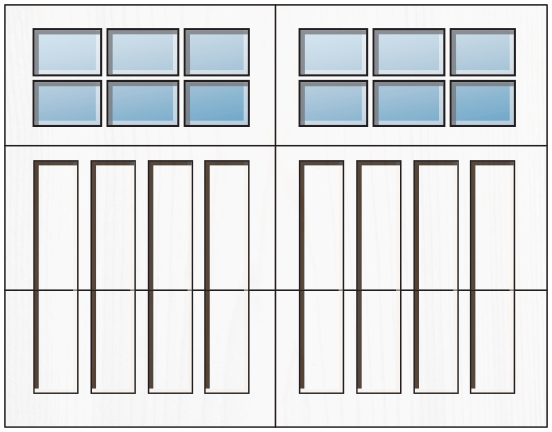 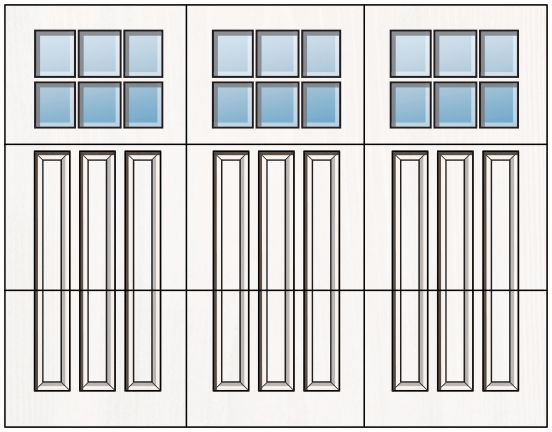 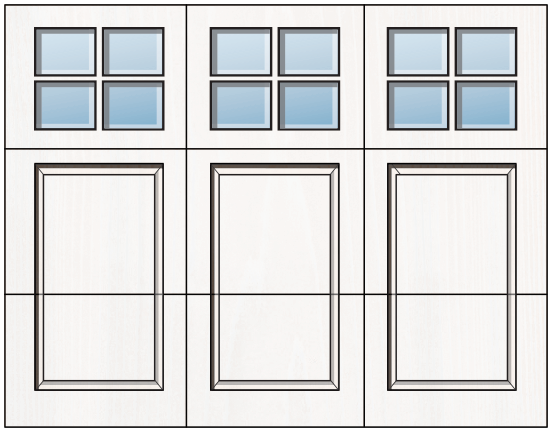 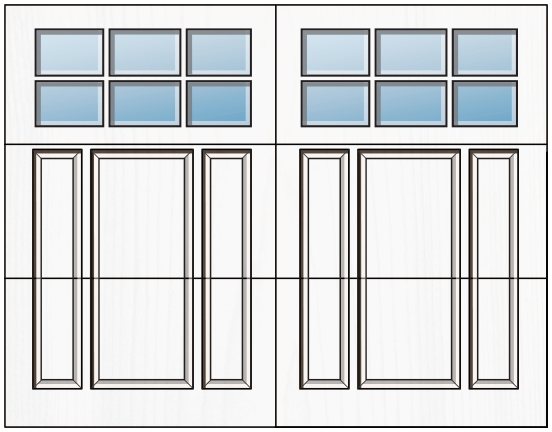 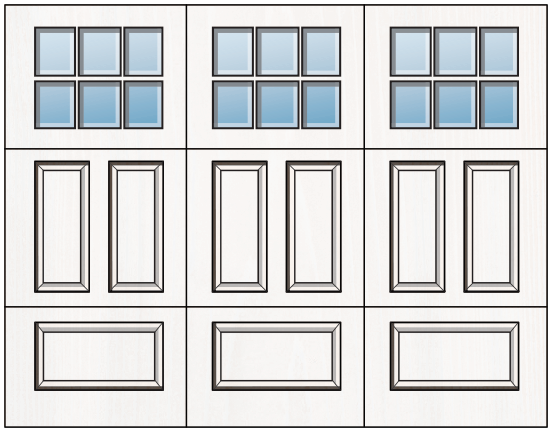 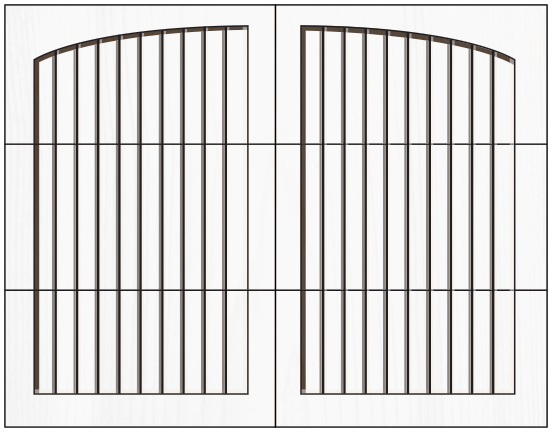 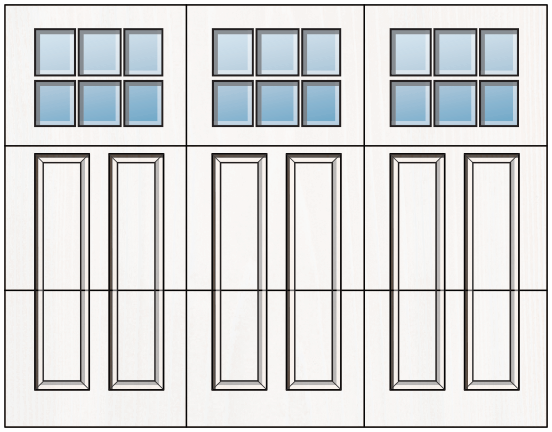 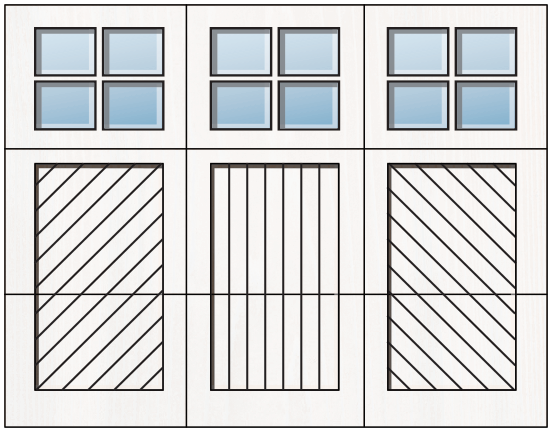 The Cape May Custom Series offers the finest traditional carriage door styles. 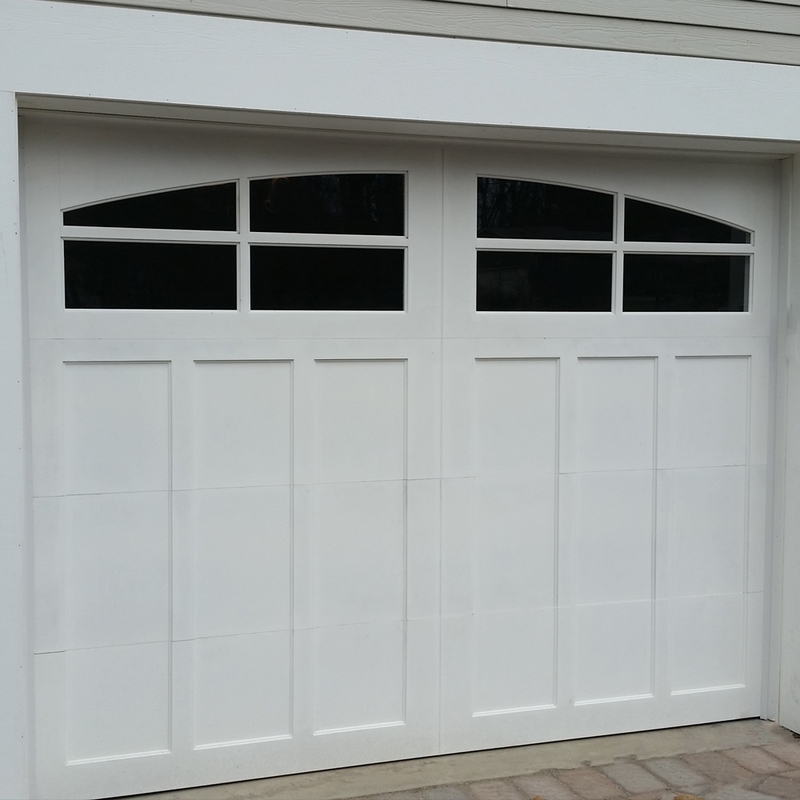 It’s distinct design combines the advantages of weatherproof, bright white Versatex PVC with traditional wood construction. 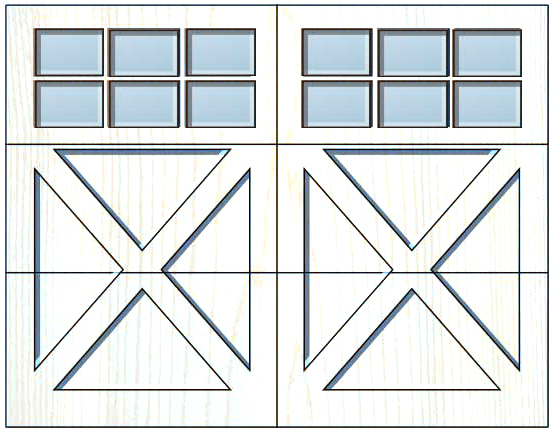 The Cape Cod Series offers an attractive price for a true carriage door look. 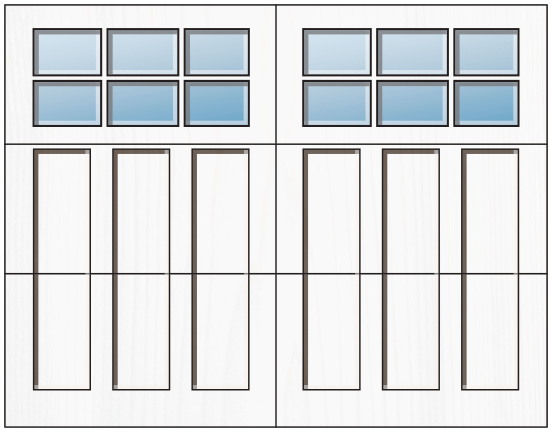 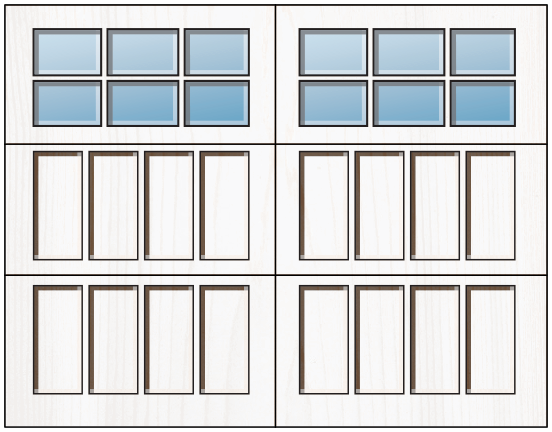 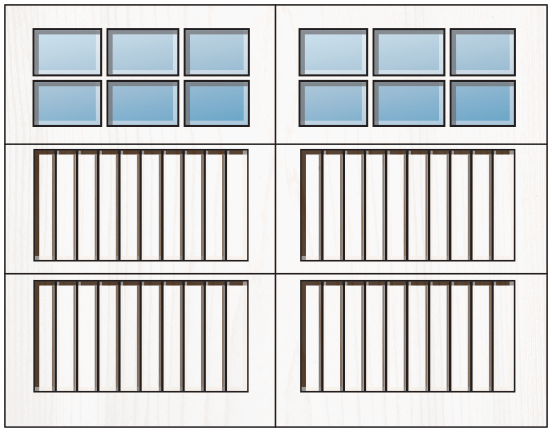 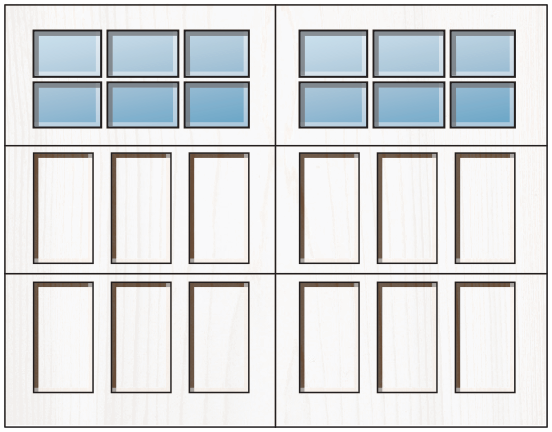 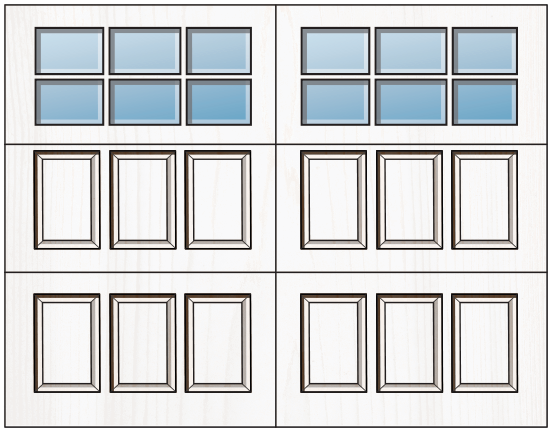 Cape Cod doors are 100% bright white Versatex PVC with no wood to rot or steel to rust. 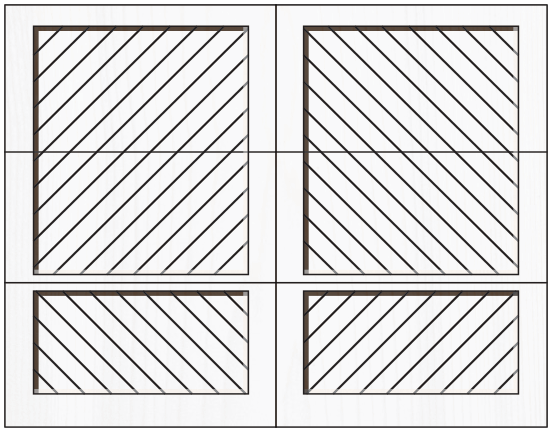 They offer the edge detail customers love about traditional wood doors without the maintenance. 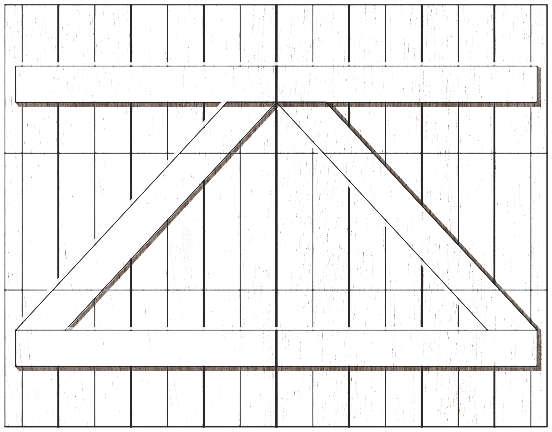 They are built on a 1¼" Versatex mortise and tenon frame and offer flat, grooved, or raised panels. 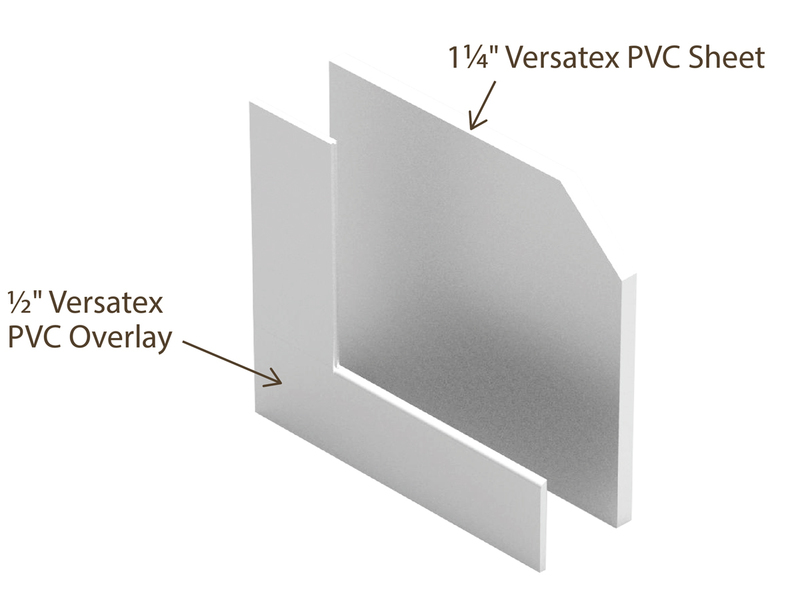 All models feature ¼" Versatex PVC backers for a 1½" total thickness, and are available up to 10' wide. 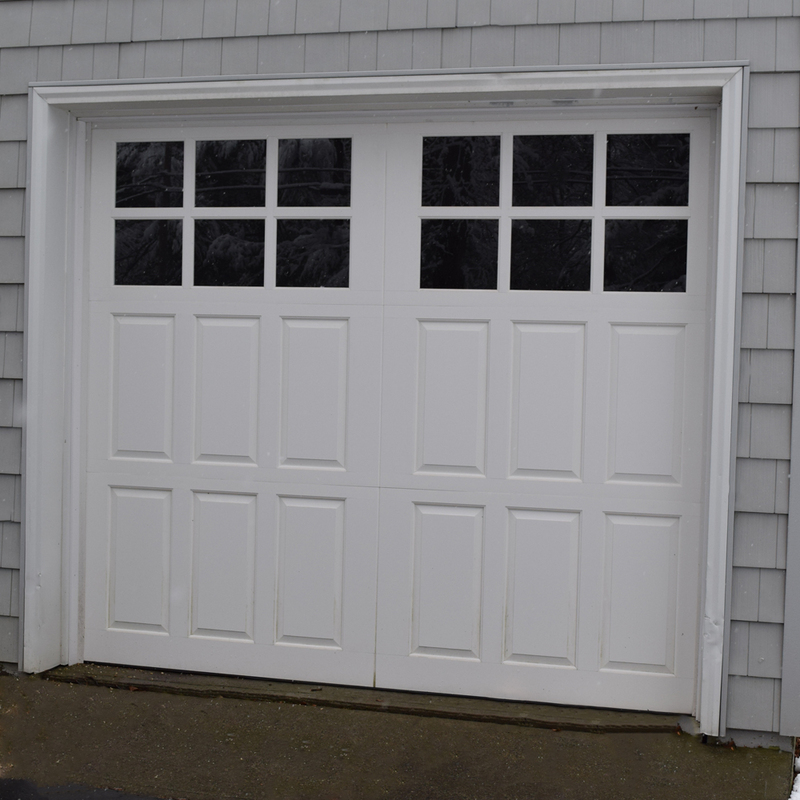 Warranty: 3 years if unpainted or if painted with color LRV > 45. 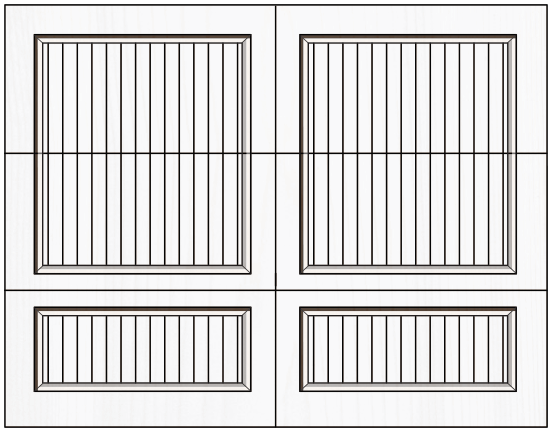 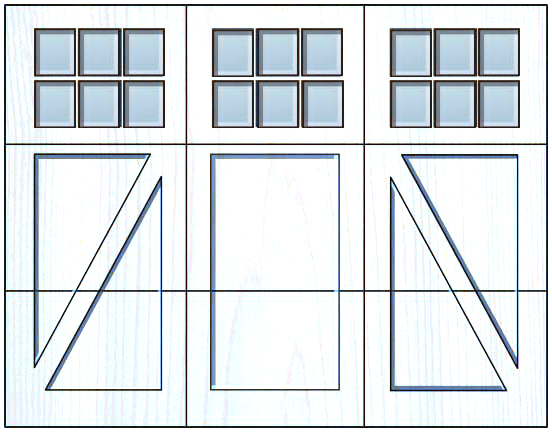 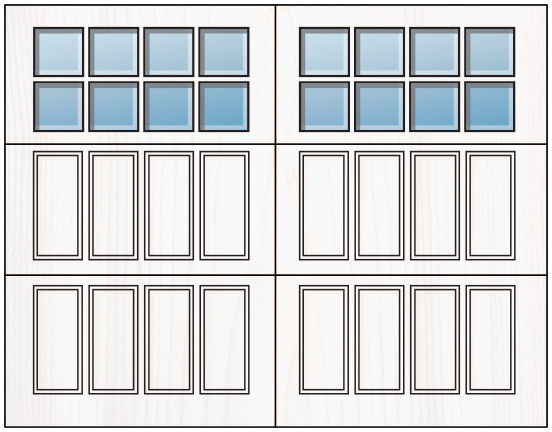 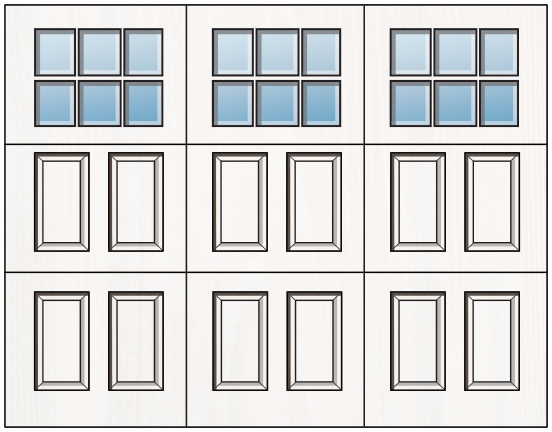 Many more designs are available to provide you a complete custom door, unique to every project.